A rare species of primitive human roamed the forests of Eurasia 200,000 years ago and may have made tools and even jewellery, according to new research published Wednesday. Denisovans — a cousin of Neanderthals — were discovered in 2010 when scientists working in a cave in southern Siberia obtained a finger bone of a girl belonging to a previously unidentified group of humans. 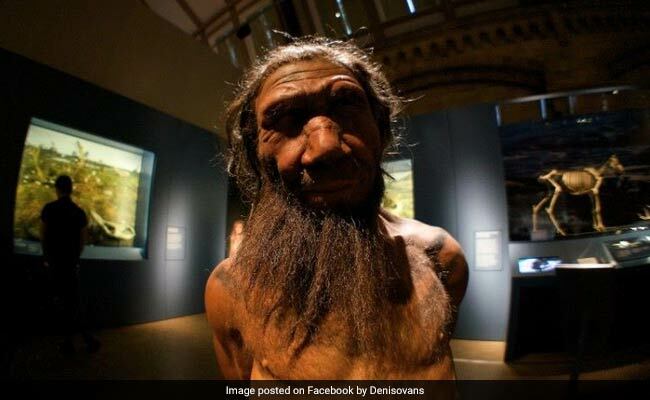 Because they have so far only been located at the Denisova Cave, far less is known about them than their more famous relatives Neanderthals, who executed sophisticated hunting strategies in groups, made fire, tools and clothing. In dual papers published in the journal Nature, two international teams of scientists now argue Denisovans inhabited the cave as far back as 200,000 years ago. To arrive at that conclusion they needed to overcome several hurdles that make dating prototypical man especially tricky. “The big challenge is that the human remains themselves are microscopic — the biggest one is 2 cm high and they are really difficult to date because they all fall either just at or beyond the reach of radiocarbon dating,” Tom Higham, director of the Oxford University Radiocarbon Accelerator Unit and study author told AFP. Carbon dating, which uses the half-life of radioactive carbon isotopes to show the age of organic matter, is only reliable on specimens up to roughly 50,000 years old. Higham and the team unearthed several previously undiscovered bone fragments and managed to obtain a DNA sample from one of them. They then used a mathematical model comprised of available carbon data, as well as sediment dating, genomic mutation rates and archeological information to determine with high certainty when the Denisovans inhabited their eponymous dwelling. “200,000 years ago, maybe older up until about 50,000 when Denisovans disappear from the site,” said Higham. As well as human remains, researchers found perforated animal teeth possibly used as necklaces, bone tools, ostrich shell beads and stone-worked bracelets — all artefacts previously only associated with modern humans and, more recently, Neanderthals. In the absence of any other hominim remains in the areas of the cave where the objects were found, Higham said “the most likely explanation” was that they were the work of Denisovans. “The earliest (objects) date back to 49,000 years ago, which is the earliest evidence we have of this type of behaviour in northern Eurasia, if not the entire Eurasian continent,” he said. If confirmed, the finding could transform what we know about how our ancestors survived and socialised. The team behind Wednesday’s studies said they now believe that Denny appeared around 100,000 years ago, meaning that Neanderthal and Denisovan man may have interbred for millenia before disappearing around 40,000 years ago. Writing in Nature, Robin Dennell from Exeter University’s department of archaeology said the new studies provided “a rigorous and compelling timeline for the cave and its contents”.